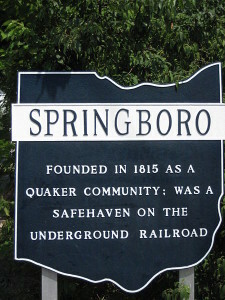 Springboro, Ohio – Residents of a small Ohio town packed a board of education meeting this week to discuss a controversial proposal to the school’s curriculum. The public school district of Springboro, a town of 18,000 in southwestern Ohio, is considering adding new educational policies designed to give students more balanced viewpoints on a variety of hotly-debated topics. If the new policies are implemented, students would be introduced to debates such as evolution versus creation, pro-life versus abortion, and contraception versus abstinence. Additionally, topics like drug legalization, global warming, and gun control would be openly discussed in the classroom. Kelly Kohls, president of the Springboro Board of Education, has been pushing for these kinds of changes for two years, but only this month has the board brought the proposals into serious consideration. She admits there are other controversial topics out there, but these are the primary issues she wants discussed in the schools. Earlier this month, the American Civil Liberties Union (ACLU) learned of the proposed changes, and promptly sent a letter to the Springboro Board of Education, urging them to abandon the curriculum adjustments, and saying the amendments would be an “infringement of students’ First Amendment rights.” In particular, the ACLU is against the inclusion of creationism into the classroom, since they believe it would be an unconstitutional representation of Christian beliefs. ACLU attorney Drew Dennis claimed in a Thursday press release that the incorporation of creationism into school classes would be “an unnecessary distraction” that would not help students better succeed in the real world. Furthermore, he stated that schools should not be responsible for teaching kids about religion. When the Springboro Board of Education held the public meeting Thursday night to discuss the proposed changes, many local parents showed up to express their opinions. While some voiced their support for the policy adjustments, others raised concerns. For instance, Colleen Bowman asserted that creationism is “a religious thought,” and “doesn’t need to be in a public school,” according to ABC affiliate WKEF-TV. Still, several board members believe the amendments (including the discussion of evolution versus creationism) would result in a well-rounded, balanced education for students at the school. Jim Rigano, vice president of the school board, told WKEF-TV that unless both sides of the arguments are presented, the curriculum is unfair and biased. The Springboro Board of Education will officially vote on the proposed changes next month.